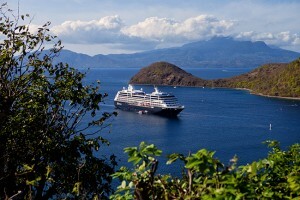 Reach exotic destinations conveniently with Azamara Cruises. Azamara Cruises – A voyage with convenience for those who love travel. At Azamara Club Cruises®, we’ll take you all over the world. But traveling to exotic destinations doesn’t have to require flying half way across the world to come onboard. We know that sometimes you are looking for a voyage that begins or ends a little closer to home, and if so, we feature several itineraries just for you and your clients. South Beach is a great vacation destination in itself, with its gorgeous beaches and vibrant Hispanic-influenced culture. But Miami, Florida is also an excellent starting point for sailing to many famous places as well as stunning lesser-known destinations. 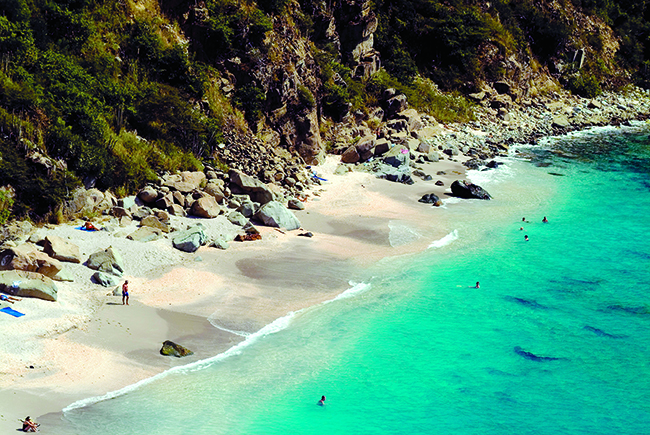 Take our 12- Night West Indies voyage for example. This voyage begins in Miami and takes guests on a cultural tour of several postcard-worthy Caribbean islands. After two days soaking in the sunshine at sea, guests arrive in St. Johns, a U.S. Virgin Island spanning nine miles long, two thirds of which is a national park. From there, venture to the calm and peaceful Terre-de-Haut, Iles Des Saintes, Guadeloupe, a French-inspired tropical paradise. Be sure to strike up a conversation with one of the many local fishermen that stake the claim as the best in the West Indies. One bite of fresh seafood from a quaint local restaurant in town, and you’ll soon learn why. Next up, a longer stay in Roseau, Dominica – just the right amount of time to immerse in this distinct reggae culture, and home to the only pre-Columbian population remaining in the eastern Caribbean. A longer stay in Nevis, an overnight in St. Barts, and another longer stay in St. Maarten, offers opportunity to play a championship golf course at the Four Seasons in Charlestown, pick up fresh French baguettes at a local bakery in Gustavia, or walk the Creole streets of Philipsburg. 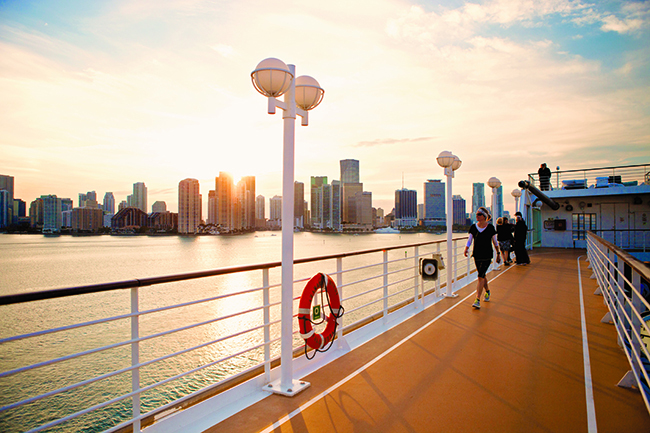 After two more days cruising through the Caribbean Sea, guests will arrive back where they began: Miami. 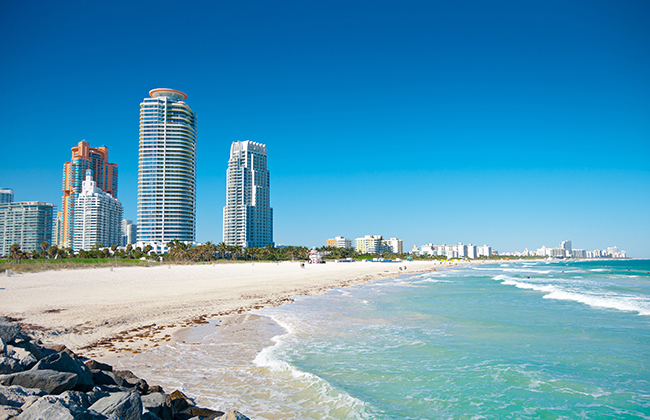 We feature many other exclusive itineraries with departures from Miami in 2015 and 2016. 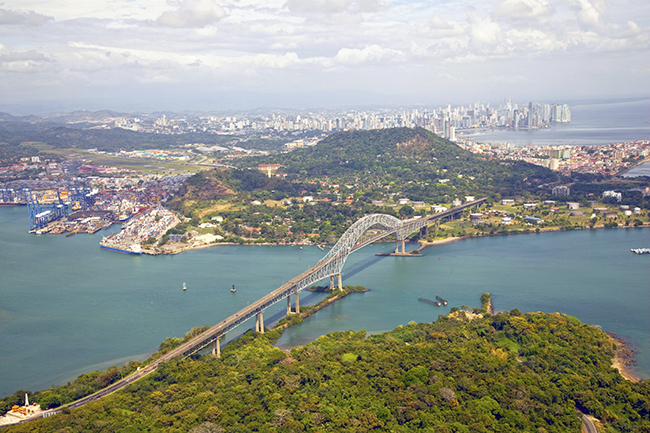 If a holiday getaway sounds like the perfect escape from the hustle and the bustle, the 11-Night Christmas & New Year’s voyage will set the mood to relax, refresh and celebrate the start to the new year while navigating through the Panama Canal. Sometimes, a voyage from Miami will take you to the other side of the world. Or the beautiful Mediterranean, specifically. Our guest-favorite 15-Night South Beach to the South of France voyage ventures across the Atlantic for an experience reminiscent of the early explorers. After departing from Miami, guests will enjoy seven straight days at sea en route to Azores, the United Kingdom, Spain, and France. It’s a once-in-a-lifetime experience that many of our guests have opted for again. So, technically a twice-in-a-lifetime experience. Or more. When at sea, guests find there is plenty to enjoy. Our smaller club-like ships feature a premier spa and fitness center, a relaxing pool deck, a lively casino, and daily entertainment. But with only 686-guests onboard, the ships tend to never feel overcrowded. It’s the perfect size to secure a premium spot on the top deck in a comfortable cabana bed while watching the Atlantic Ocean pass by. That’s an activity all in itself. When Walt Whitman claimed that “the sea is a continual miracle”, he might as well have been on Deck Eleven of the Azamara Journey®. While gazing out at the sea, our onboard staff will gladly bring guests their favorite cocktail. Complimentary, of course. It’s one of the ways we want to make sure guests are completely taken care of onboard. And select standard spirits, beers, and wines are just a few of the inclusive amenities. Specialty coffee and tea, bottled water, gratuities, shuttle service in port, self-service laundry, and a personal concierge service are included in the price of the fare as well. In addition to inclusive amenities, competitive voyage fares and ongoing offers add even more value to every voyage. You could say we’re the voyage for those who love value. The award-winning Azamara onboard experience is only a portion of our focus. If you are traveling the world, in order to truly delve into local culture, history, and cuisine, you need to get off the ship. And we are happy to share our land expertise with you in a variety of ways. Destination Immersion®, meaning longer stays, more overnights, and night touring, is the reason we cruise. More time in port means the opportunity to eat dinner at a famed local restaurant, attend an evening show, and travel off the beaten path to experience a taste of authentic culture. With our range of signature Land Discoveries® shore excursions, our onshore experts are happy to guide the way to localized and personalized immersive experiences. With the Insider AccessSM program, guests get a behind-the-scenes look into a local establishment. We’ll take guests to an ancestral home, workshop, or business where they can swap stories, listen to historical recounts, and get to know the owners. It’s a mini study abroad session, without the notes and tests. Gustavia, Saint Barts, Caribbean Islands. Night and Cool PlacesSM, another signature Land Discoveries experience, is our personalized night touring program. Visit famous museums without the crowds, such as Malaga’s Picasso Museum. Sip cocktails at local hot spots, including Rio de Janeiro’s Scenarium. Or enjoy an evening stroll on an intimate guided architectural walk. Being a night owl definitely has its perks on an Azamara voyage. But world travel would be missing something without a local meal at an authentic restaurant in your destinations. That’s why we introduced one of our newest programs, Cruise Global, Eat LocalSM. Our local culinary experts will provide carefully curated suggestions to authentic local restaurants around the globe. Pair a meal with select Land Discoveries® and we’ll drop guests off for lunch at a famed local eatery on their way home from an excursion. Travel wouldn’t be travel without a meal from a restaurant that the locals love. Destination Immersion® tastes delicious. When we wrote about our inclusive amenities earlier, we left one off the list, but only because we wanted to save the best for last. Complimentary AzAmazing EveningsSM events have quickly become a favorite part of an Azamara voyage, and for good reason. These exclusive, authentic, bespoke events are designed to give our guests a unique look into the culture and heritage of the destinations we take them to. Since these events are created specifically for Azamara, they offer an adventure you can’t get anywhere else. Inclusive amenities, exclusive onshore events, renowned destination knowledge, and a slowed down travel experience has helped shape the voyage for those who love travel. We invite you to join us for a voyage and see for yourself the Destination Immersion difference. Travel the world, bring your hotel, and never look back.